Parking Lots symbolize the "Welcome Mat" to your business. It's appearance to your customers is the first impression of your establishment. a well maintained parking lot is a sure sign of a well maintained property and will reflect an heir of a well maintained business. Not only does it enhance curb appeal, but it improves vehicular circulation. At SHOem Roadway Services LLC, we take great pride in giving your business that edge. Our Parking Lot Services include Sealcoating as well as: Parking Lot Striping, Asphalt Repair, Crackfill and Snow Removal as a Full Service Asphalt Maintenance. Your home is an investment. Properly maintaining your homes driveway is a great way to not only maintain but possibly increase your home's value. A properly sealcoated driveway will resist gas and oils which soften, weaken and destroy asphalt pavement. A properly sealcoated driveway will seal against moisture accumulations. In New England this is very important. Water and moisture can collect in the cracks and pores of your driveway's asphalt. As temperatures get low the water will freeze and expand. this causes cracking. If not properly treated this will get worse over time. This will not only worsen the appearance of the home but decrease the value. A properly sealcoated driveway will shield against the drying action of the sun. Constant exposure and heat from the sun can cause raveling and cracking of the pavement and allows water penetration. A properly sealcoated driveway will beautify asphalt pavements by restoring the driveways charcoal black color. This will give the pavement a rich, new looking appearance. 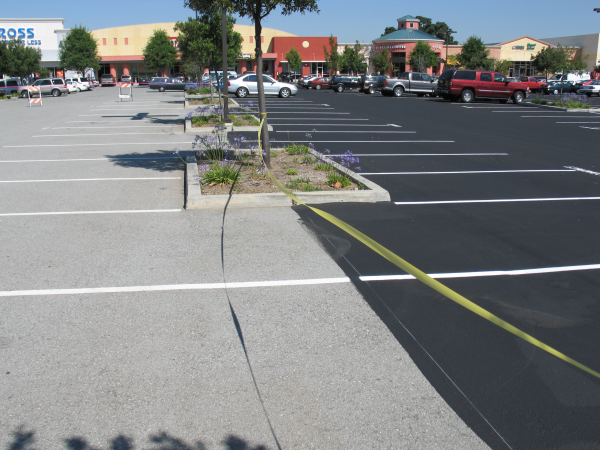 Appearance- A black parking lot has a clean, rich look that presents a positive image of the company, facility, or residential complex. Value- An attractive driveway is one of the least expensive ways to increase the resale value of your property. Cleanliness- Sealcoats fill surface voids while coating the pavement surface. The resulting smooth and even texture makes surfaces easier to maintain year-round--sand and dirt is easier to remove from a smooth surface, and sweeping is more effective on a smooth surface. Prolongs Lifespan- Sealcoating sprayed under high pressure penetrates and revitalizes the asphalt surface, retarding the oxidation. Normal deterioration is reduced and the driveway's life span is extended. Reduce Total Cost of Ownership- The price of asphalt concrete will always be affected by crude oil prices, which fluctuate when supplies vary. 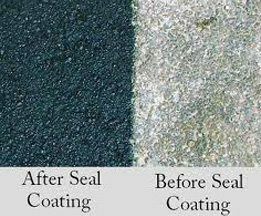 It's less expensive to sealcoat a parking lot every couple of years using a coal tar or asphalt emulsion than it is to overlay or place a new lot. 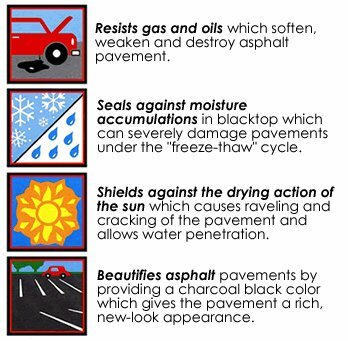 Superior Protection - Oxidation from the Sun, age, weather, and chemicals produce cracks and openings in an asphalt surface which cause potholes and other asphalt failure. Most of these problems can be easily prevented with proper sealcoating and maintenance.